6 WHAT ELSE ARE WE WORRIED ABOUT? 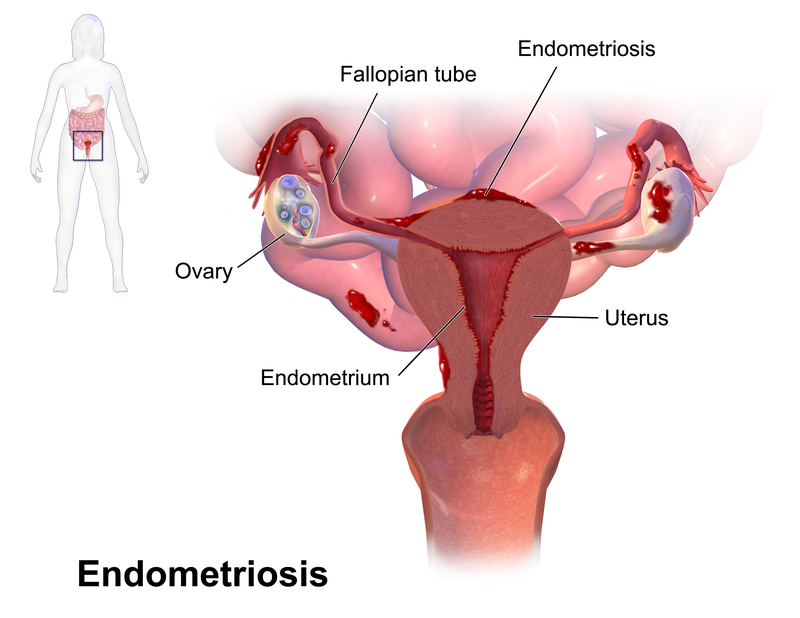 Endometriosis refers to ectopic endometrial tissue in the ovaries (that occurs with cyst formation). This condition can be very painful for patients. Ultrasound: homogenous cystic ovarian masses are highly suggestive of ovarian endometrioma. Laparoscopy and biopsy: in certain patients it may be decided that the offending tissue will need to be directly visualized and biopsied (to confirm the diagnosis). NSAIDs: ibuprofen/naproxen are commonly used. Patients who fail above treatment: These patients who can not be managed conservatively may need to laparoscopic evaluation. Definitive treatment (often reserved for patients who are past child bearing age) involves hysterectomy and oophorectomy. Infertility: this is commonly one of the sole presenting symptoms of endometriosis. Patients with this condition are at a higher risk of having infertility.